And we’re rolling! Registration is now officially open for all three 2019 Cycle Oregon events. Hold onto your handlebars because GRAVEL. Is. Back. We’re taking the show over the mountain to the stunning expanses and high, lonesome prairie surrounding Dufur, Oregon. We’ll be cruising a combination of gravel and paved roads, with wide-open views of Mt. Hood and Mt. Adams appearing around nearly every corner. Join us for the camping, the music, and the fun. Let’s get grinding! Next on the schedule, we’re hitting refresh with Joyride. Leave the hustle and bustle behind and come ride bikes where “small town nice” is everywhere you go. This year the charming community of Independence, Oregon will play host to our one-day celebration of women and bikes. 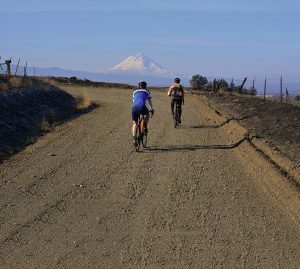 Ride and unwind amongst the scenic rolling hills, orchards, vineyards and wide-open farmlands of the central Willamette Valley. And after we pedal, we party. Delicious locally sourced food and libations will be on hand and live bands will be laying down the boogie until the cows come home. All levels of cyclists are welcome – so join us for a big-time Cycle Oregon experience served up with tons of small-town hospitality. Sorry, fellas. This ride is for women only, but we’d be happy to have you come and volunteer! And last but certainly not least, for our 31st annual week-long tour, we’re setting off on a not-to-be-missed ride through the geological wonderland that is Crater Lake and the Central Oregon Cascades. Handpicked for the pedaling, this unforgettable journey passes through lava-hewn landscapes, unrelenting rivers, and ever-present peaks. 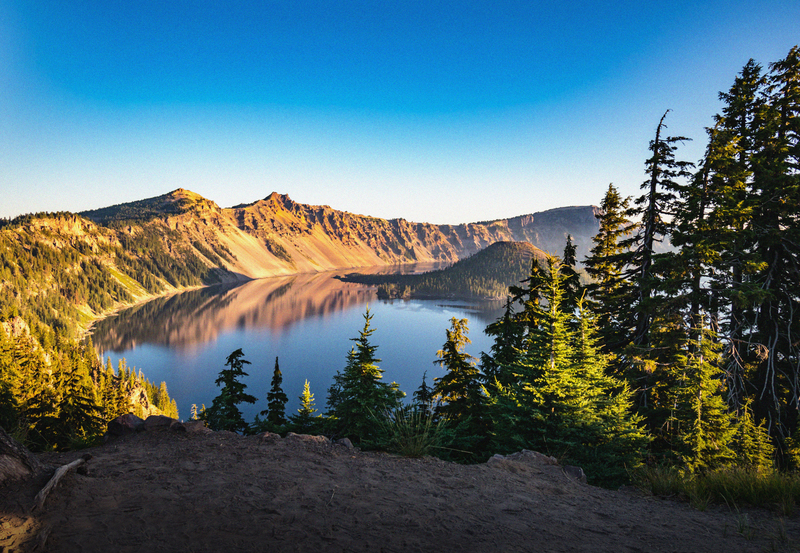 We’ll ride through six colorful communities on our way to the legendary rim of Crater Lake – the sapphire jewel of Oregon’s only National Park. This is your opportunity to ride the extraordinary. Read this Sundays Oregonian, got excited about the Joyride in Independence, hopped on my computer to register for the 64 miler only to learn… this is a female only event. Disappointed that we all can’t get along. Hi Jeff, glad you are interested in the event, this year’s route is pretty incredible. Joyride is not intended to exclude, but to celebrate women of all skill levels participating in the sport. If you are interested in participating in another capacity, we are always looking for good, supportive volunteers.